Late or weekends on arrangement. Hello! 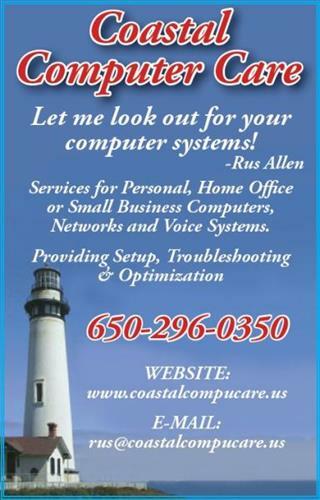 I'm glad to see you looking at my Pacifica Chamber ad! 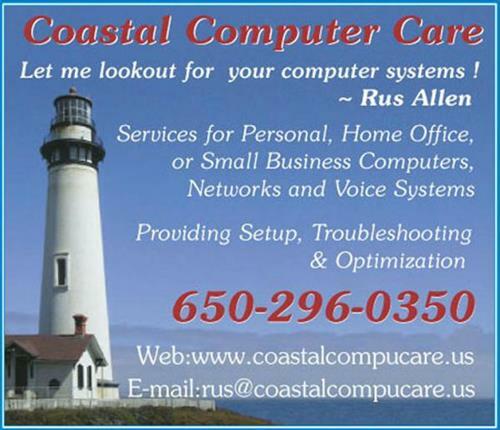 At Coastal Computer Care, I strive to meet your Computer and Network needs. As such, I come to you! Call me today for an appointment! Directions...No need! I come to you! If we determine you need to drop off a system, we'll discuss this on the phone.